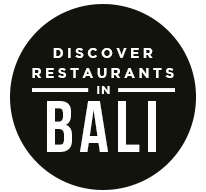 We’ve already established that Bali isn’t just a tropical paradise: it’s a food lover’s paradise. When you’re in Bali, every meal you eat is going to be the Best.Food.Ever.OMG! Today, we’re not going to talk about finding the best place to eat: we’re going to talk about reconciling your need for delicious food with your desire to soak up the gorgeous natural environment of Bali. When the thought of heading inside is just too much too swallow (there’s so much to see outside! do.not.want.to.go.indoors! ), these five restaurants have your back: dishing up great food and even better views, prepare your stomach and your eyes for a feast to write home about. 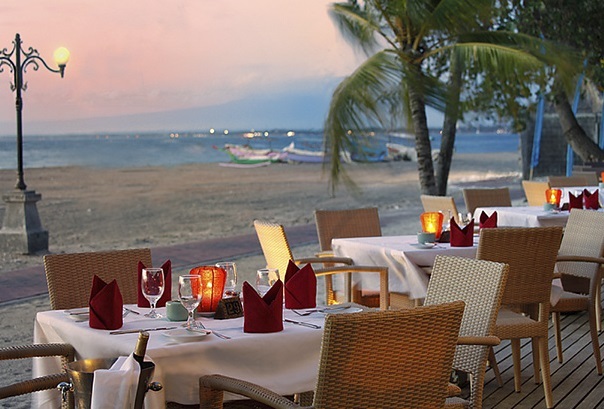 Tucked away on the sleepy north coast of Bali in the village of Lovina, Spice Beach Club boasts breathtaking views of the beach and a front-row seat to the spectacular Balinese sunset. If you’re lucky, you might even see some of the famous Lovina dolphins frolicking in the sea. 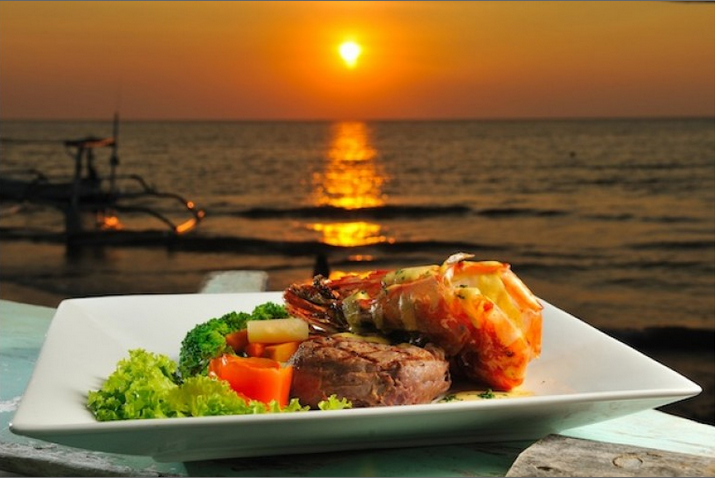 You might know Jimbaran for their famous fresh seafood stalls. 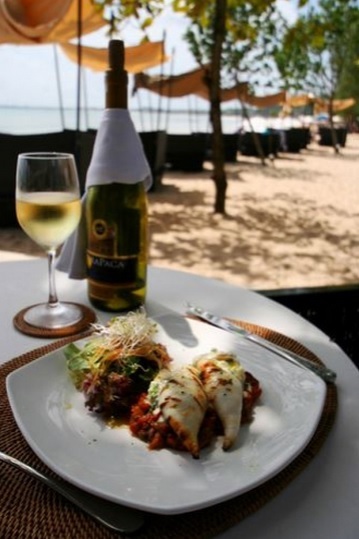 If you’re in the mood for something a bit more upmarket — wine, roasted meats, pastas — but still want to dine with your feet in the sand, there’s no better place to be than Jimbaran Beach Club. Draperies blowing in the wind. Soft music lilting over the sound of crashing waves. Lanterns dancing in the cool ocean breeze. Flickering candles. And, of course, amazing food. 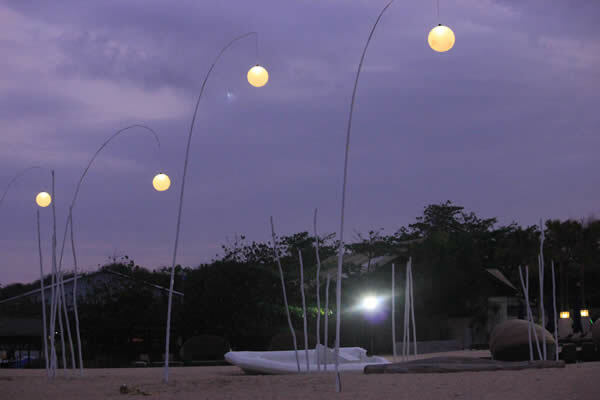 If romance-with-a-view is what you had in mind, there’s no better place than Watermark Bali. 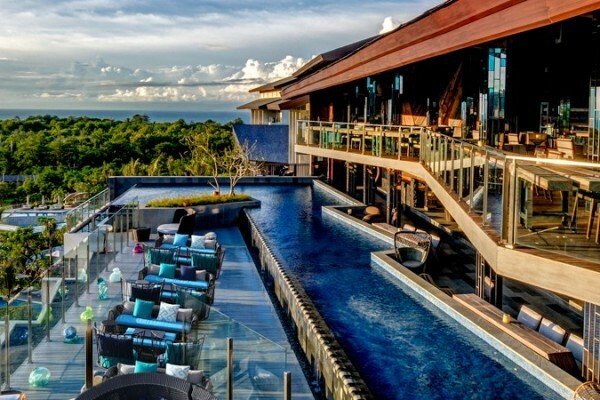 The name says it all — located on the roof of the Ayana Resort and Spa, UNIQUE Rooftop Bar will take your breath away with sweeping views of the lush Bali jungle and the sea in the distance. Come in the evening to watch the sunset over the Indian Ocean or spend the day at one of the poolside loungers, snacking on beef rendang burgers between dips in the pool. Smack-dab in the heart of south Bali, The Wharf Restaurant doesn’t depend solely on their killer beachfront views to bring people in: they have a full line-up of live entertainment, theme nights, special menus, and parties to keep things lively and the dinner experience an ever-evolving good time. The post Dining with a View on the Island of the Gods appeared first on Qraved Journal.